Andy is a two-time Olympian, an Olympic, World, Commonwealth and European finalist and was been Britain’s number one 1500m runner for 10 years. Andy Baddeley is a two-time Olympian, an Olympic, World, Commonwealth and European finalist and was been Britain’s number one 1500m runner for 10 years.Following his graduation from Cambridge University where he achieved a double first with distinction in Aerospace Engineering, Andy moved to London to pursue an athletics career. He taught undergraduate engineering at Cambridge and lectured biomechanics at St Mary’s University College whilst training and racing. 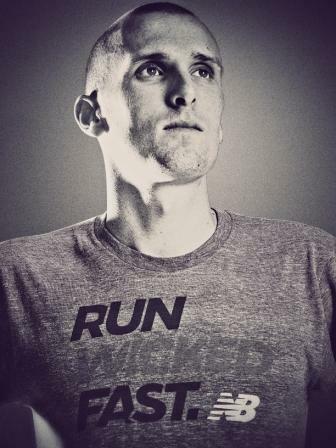 A full-time athlete, Andy was the fastest miler in the world in 2008, is winner of the illustrious Dream Mile and has competed in 15 major championships. He also has his own running shoe ‘ the New Balance 890 ‘Baddeley’, which has sold over a million pairs worldwide. In 2015, Andy revealed through the charity MIND that he had suffered from Depression and shared his experiences, darkest moments and how he eventually worked through them. Now fully recovered he is enjoying family life again and has recently had his second child. Andy is also an accomplished public speaker, with his educational background coupled with his experiences of Depression and being a part of Our Greatest Team, he is in a unique position to provide thoughtful insight to a range of audiences. Please complete the following form to enquire about booking Andy Baddeley.